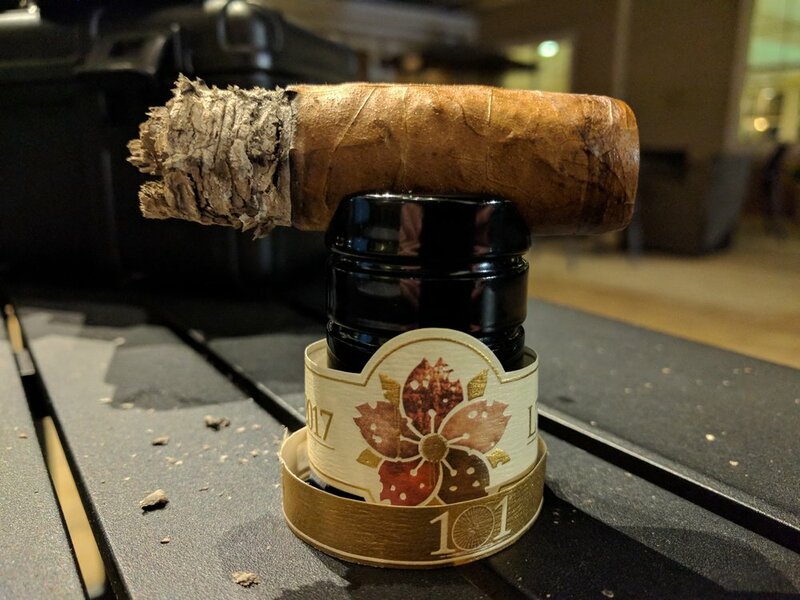 The Hit & Run brand is a limited production collaboration between Robert Caldwell and Matt Booth (formerly of Room101) that debuted at the 2017 IPCPR show. 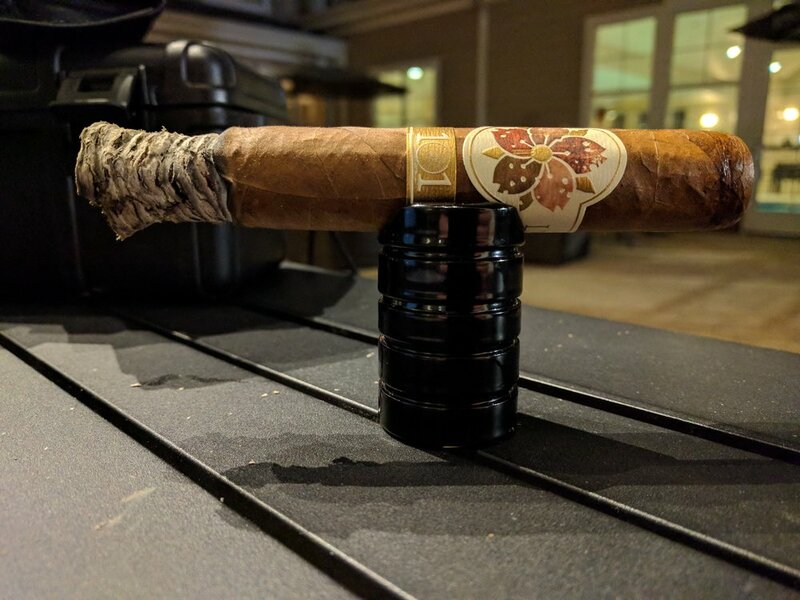 Booth had previously quit his gig at Davidoff to leave the cigar industry, but quickly popped up with collaborative efforts with both Caldwell and AJ Fernandez. 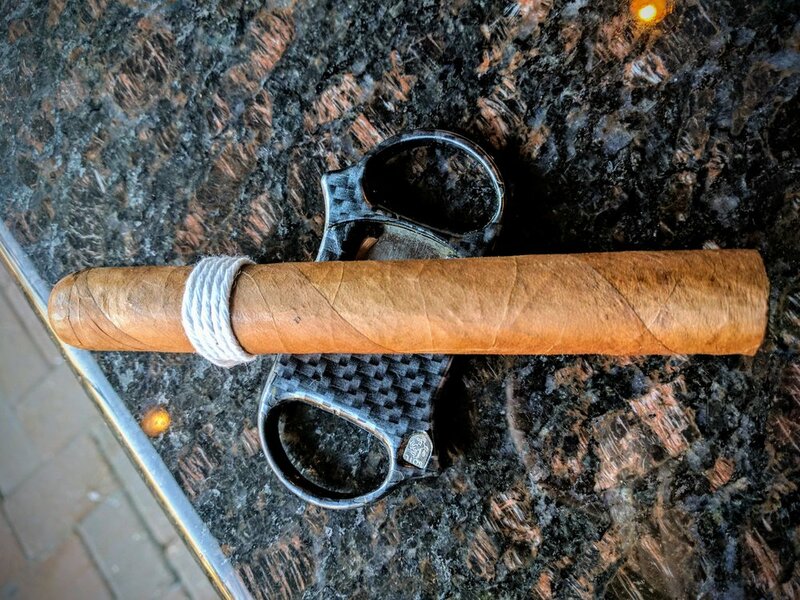 The current plan is to produce 100,000 cigars total for the Hit & Run line but it seems like that number is written in pencil, not ink. I like most Caldwell bands. I like most Room101 bands. I don't like them combined apparently. 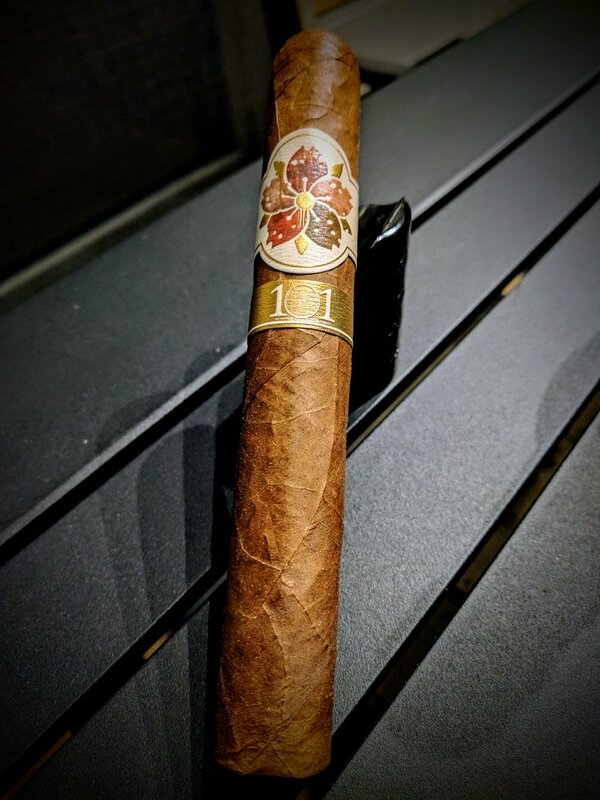 While the floral pattern and general soft design of the Hit & Run band definitely match the subtle flavors found in the cigar, I think it feels a little dainty. The primary band is a heavy card stock paper with embossed copper/bronze colored lettering and featuring a stylized flower in the center. 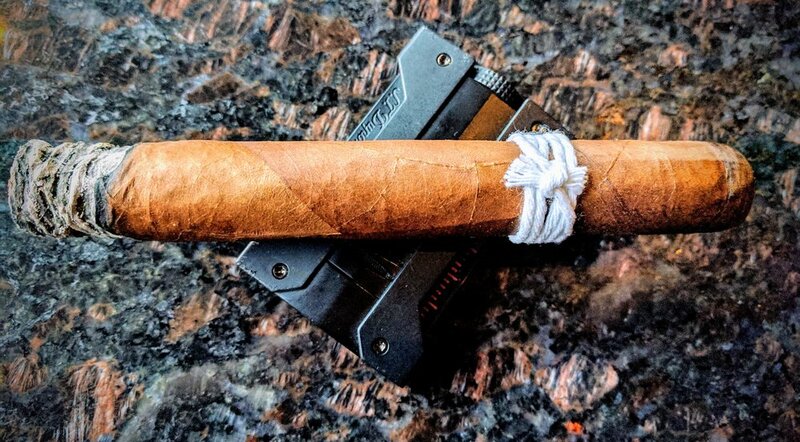 It definitely has the look and feel of something a renowned jeweler would create but, in my opinion, looks out of place on a cigar. 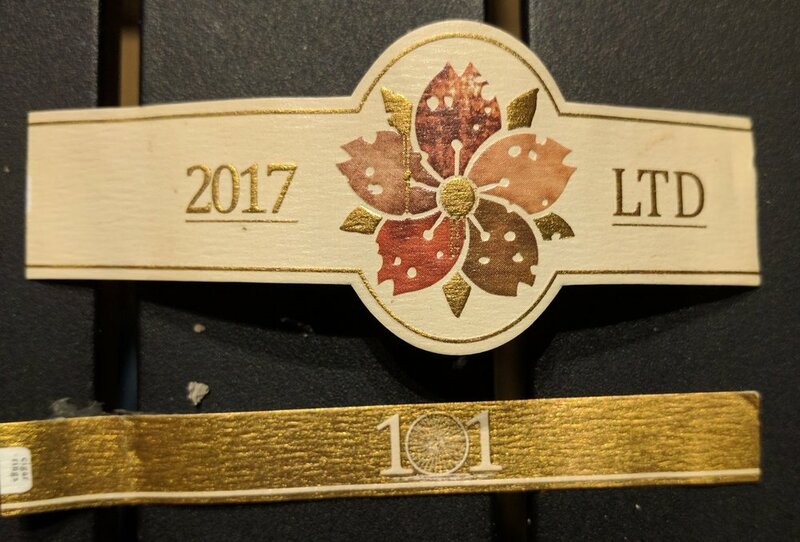 The secondary band is again a thick cord stock completely embossed in gold with "1O1" in white. I am a little confused why it would say "101" since Booth is no longer a part of that brand. I get he probably is still (rightfully) proud of that line of cigars, but he's no longer affiliated with them, right? 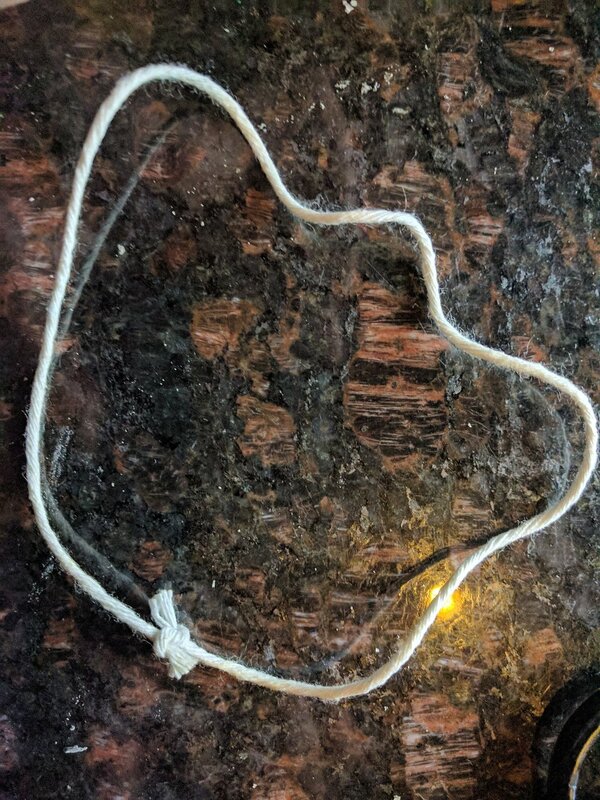 It seems especially unnecessary to even use a secondary band here since it contributes so little to the overall design and what it does contribute doesn't really feel accurate. 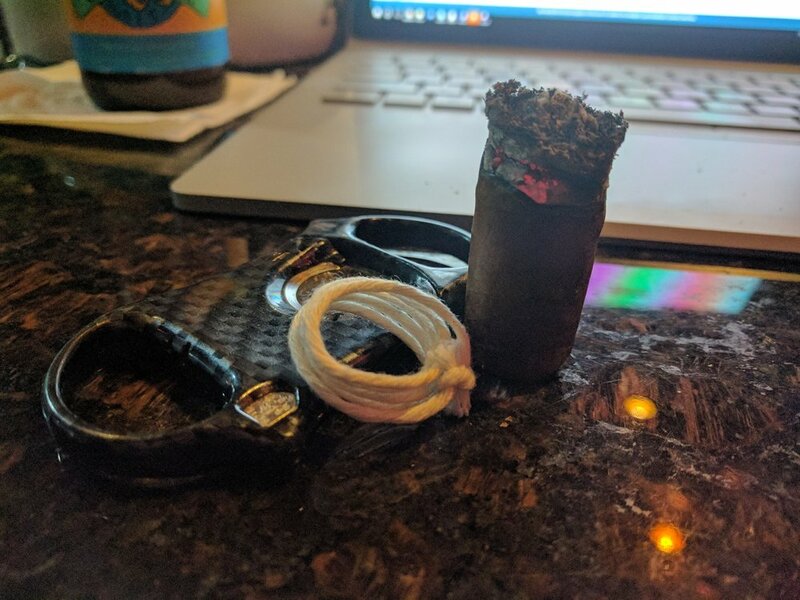 To me, the primary band would be better off scaled down and the lone band on the cigar. 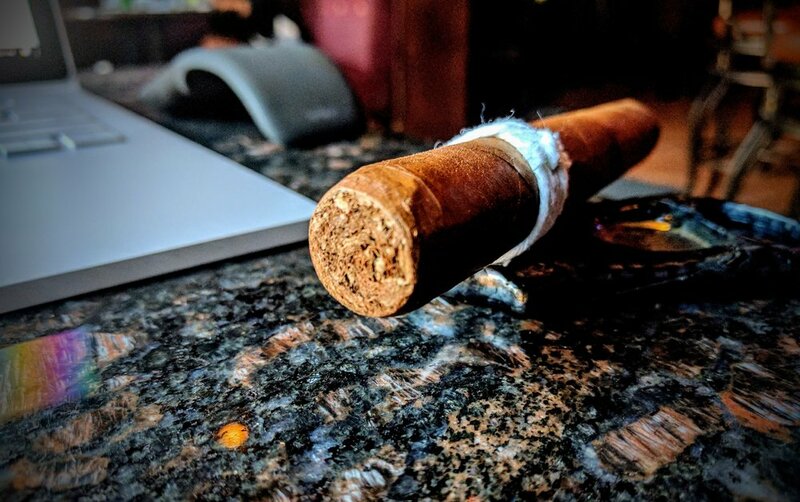 The Hit & Run is adorned in a Ecuadorian Habano leaf. It's an even, uniform light 'grocery bag' shade of brown with a nice, light oily sheen to it. The wrapper has several prominent veins that are fairly raised - including a rather large one near the cap. It's essentially blemish-free and while the seams are readily visible, they sit flat on the body. 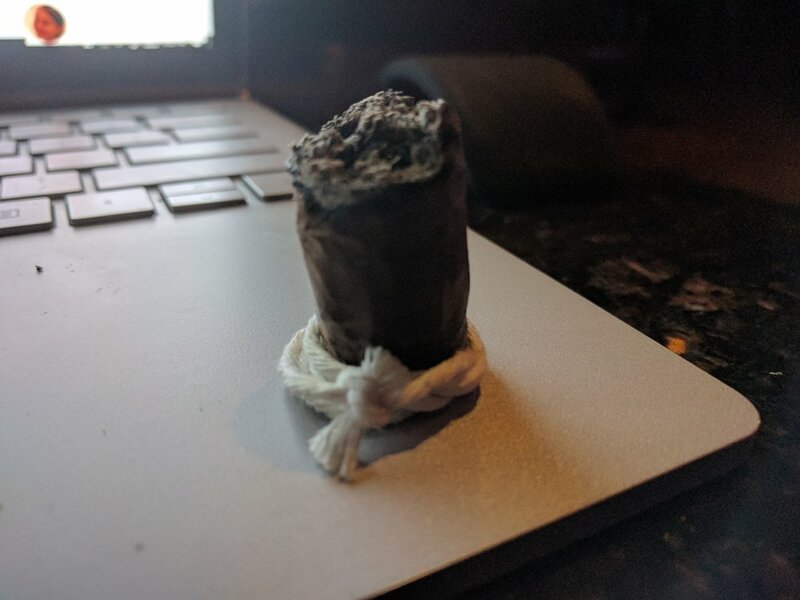 This is a thick, dense cigar. 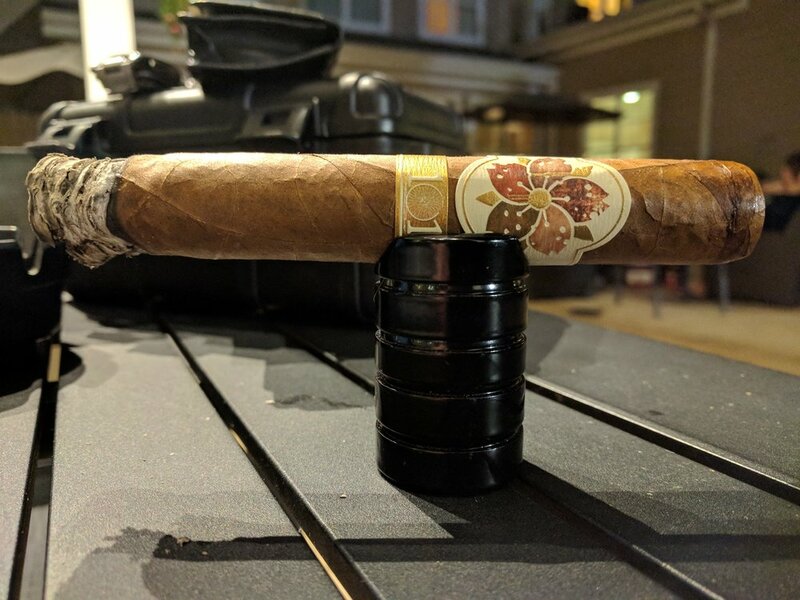 There is almost no give when compressed and it's only of the heaviest smokes I've picked up lately. The triple cap is well-applied albiet a little lumpy in places. The foot is absolutely packed with filler. 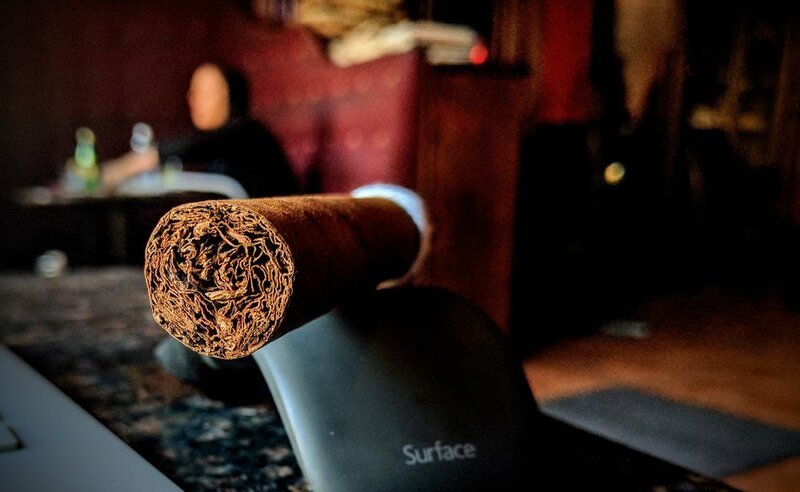 There's barely any space between the tobacco in this tight, very evenly rolled cigar. There's a nice, light aroma to the Hit & Run. Hay, lemon and leather pop out immediately on the nose. For how dense the Hit & Run felt and appeared, the draw is open and free-flowing. First flavors are hay and herbal notes with a little yeasty, raw dough. After firing it up, the first flavors are surprisingly sweet. There's a definite dough-like taste but also some lemon zest. 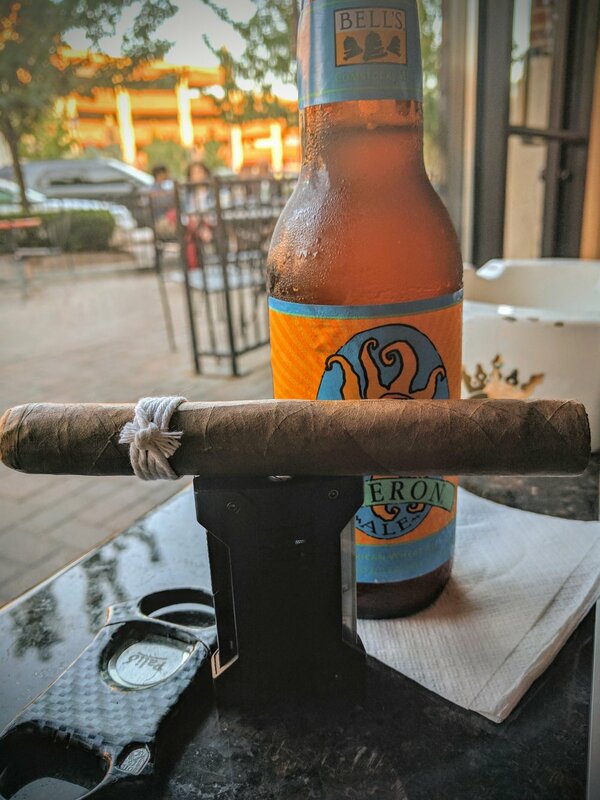 This cigar is very smooth right off the bat - no pepper to be found. The draw is very good - not too loose but might be just a touch on the snug side. As the first layers of ash are revealed the burn line is starting on a strong note - razor thin with almost no deviations. The ash itself is a medium gray color and appears to be nice and sturdy. A side note: The vein at the cap is very annoying. 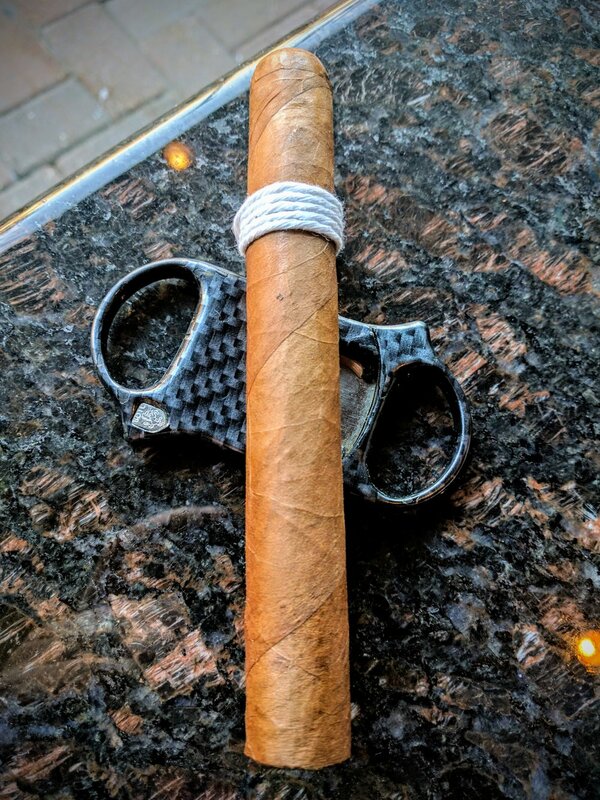 It's just not a pleasant sensation to feel when holding the cigar in your mouth. 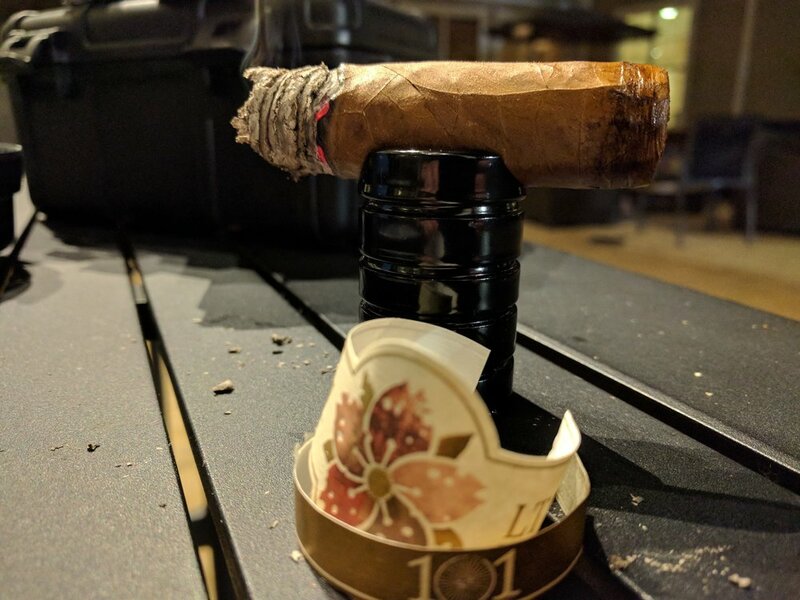 I am not docking any points for it since I'm certain it's a unique flaw to this particular cigar but just venting at it's annoyance. Smoke production is relatively low. 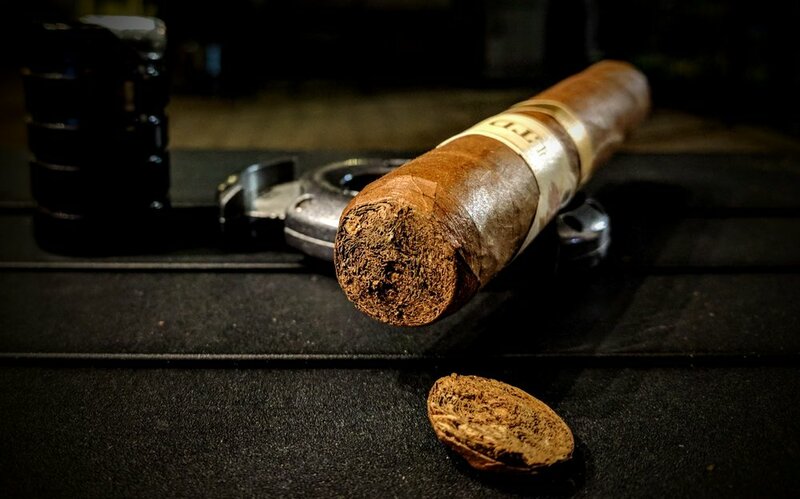 Each puff brings a decent, satisfactory amount of smoke and while resting, the Hit & Run leaves just the faintest stream of white smoke. The mellow, subtle flavors of the Hit & Run continue as the first third gets going in earnest. There's just a touch of heat at the back of the throat creeping in - maybe a little light pepper - like a softer, white pepper. The lemon/dough flavors are still on the palate but there has been a creamy nuttiness introduced - almost like a less sweet almond butter. The draw continues to be just about perfect but the burn has gotten a bit uneven. 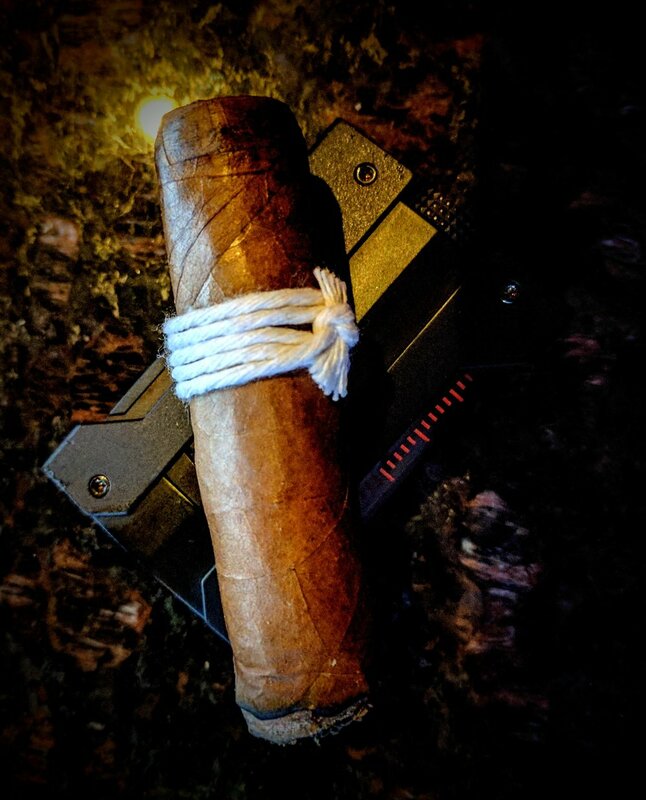 The once razor-esque burn line now is now wavering all around the cigar. It's nothing warranting a revisit from my lighter at this point, but just worth noting. The ash is holding strong at about an inch. It's starting to flare out to the sides, but there are nice layers of grey/white ash building. 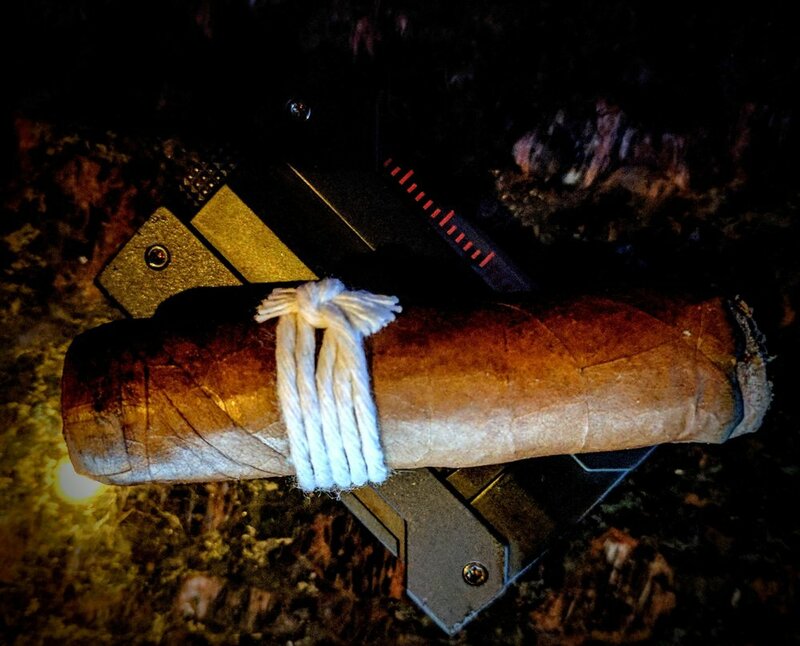 The second third brings in some cedar and leathery notes. The pepper is increasing a little more to sit and linger lightly on the palate. The doughiness has been paired up with some butter - lots of interesting flavors going on here. 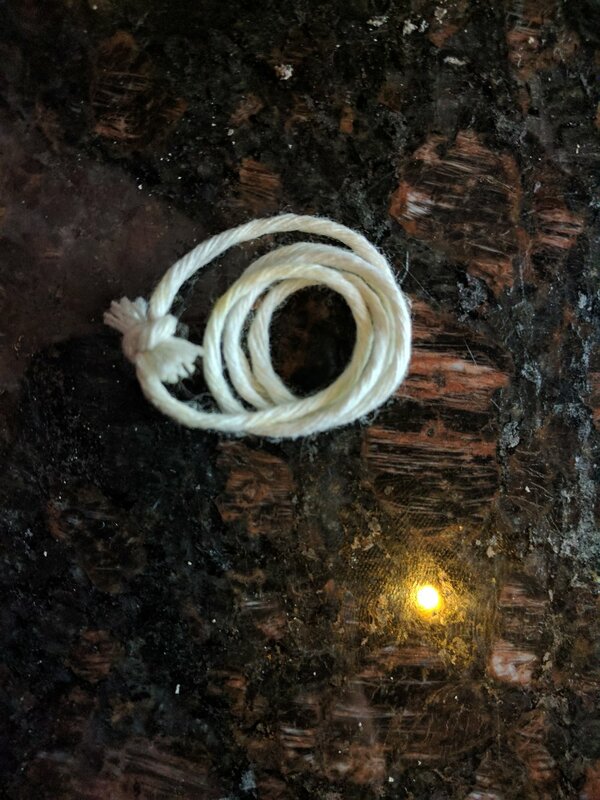 There is also a little baking spice in there. The retrohale is very smooth and reinforces the nut and butter flavors. The draw has really opened up to the perfect zone. It was never bad but this last degree of openness has moved it from "not too bad" to "perfect." The burn line has corrected itself entirely. The waviness is gone and the Hit & Run is back to burning razor sharp. 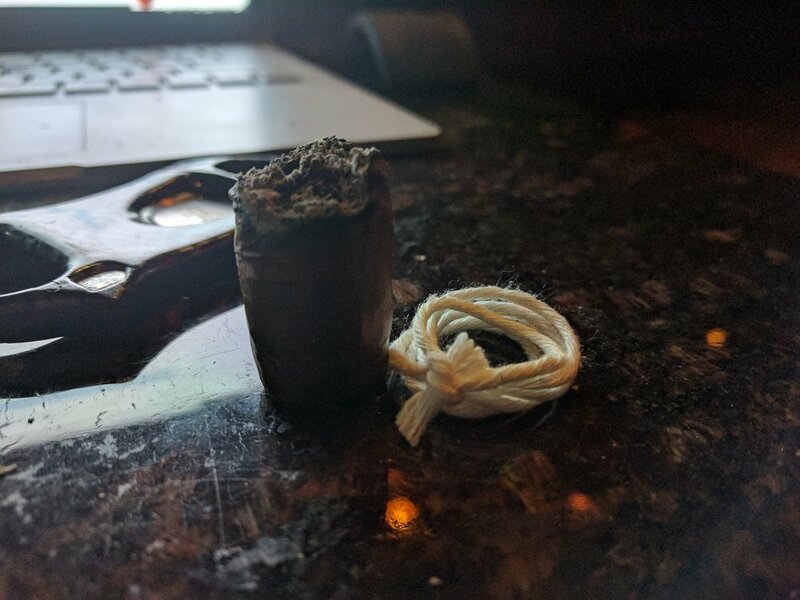 Afraid of ashing on my lap and not currently in a long ash competition, I decided to ash the first third. It hung on remarkably well and I don't doubt it would have continued, but it was time for it to hit the tray. Smoke production has picked up a bit. Each puff is pumping out heavy doses of white smoke and while resting the trail of smoke is almost always present. The Hit & Run has a soft but substantial finish to it. As the flavors unfold, there is some definite toasted bread, wood and leather components that hang on the tongue. The final third moves the cedar to more of a charred wood flavor. Also getting some black coffee as the sweeter flavors begin to convert to more savory, richer tones. There's some cream coming in that really enhances the richness of the flavors found in the final third. The retrohale is still remarkably smooth and brings a very small twinge of black pepper. Throughout the smoke, the draw has been great - starting just a little on the tight side but quickly worked its way to a perfect open draw. The burn on the Hit & Run is just perfect. Once correcting itself, it never deviated from a smooth, crisp burn line. It's also burning at a great rate - never to fast or slow. 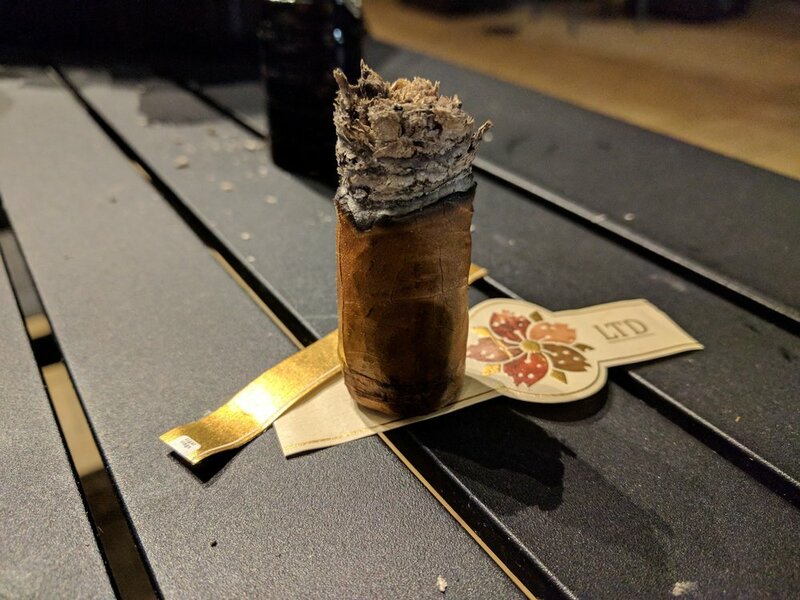 The ash retention has been some of the best I've experienced lately - holding very well until I ash it for fear of my lap/keyboard wearing it. Throughout the smoke it's been a white/medium gray and stacked superbly. 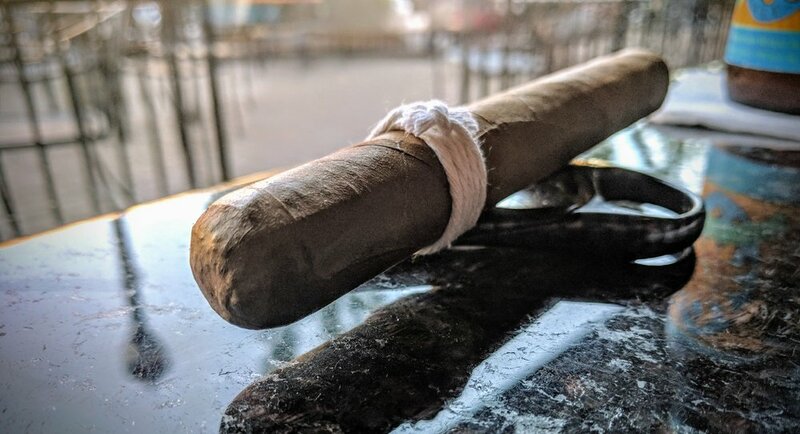 The Hit & Run started out very mild and muted with light herbal flavors that built into deep, rich coffee flavors. The transition is so seamless, I really didn't notice it until trying to summarize the experience for the review. In this aspect, it really reminded me of a three-course meal - (1) A light citrusy salad to start, (2) Entree is a little more savory and (3) A decadant, rich dessert with coffee. 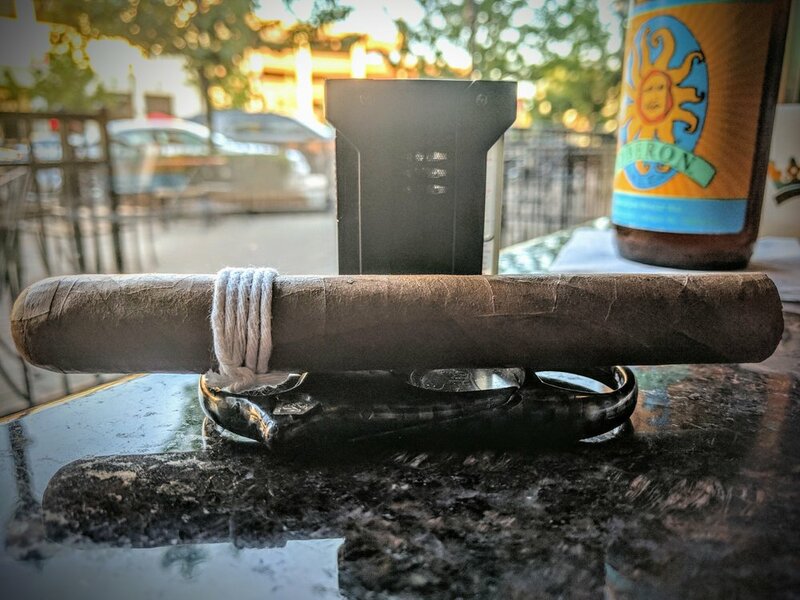 I can't harp on how perfect the burn was for this cigar enough! It never needed attention beyond the first light - burning evenly and at the perfect rate throughout. Booth and Caldwell really came up with a gem on the Hit & Runs. The flavors start very soft and meager before slowly working into a dense rich finish. 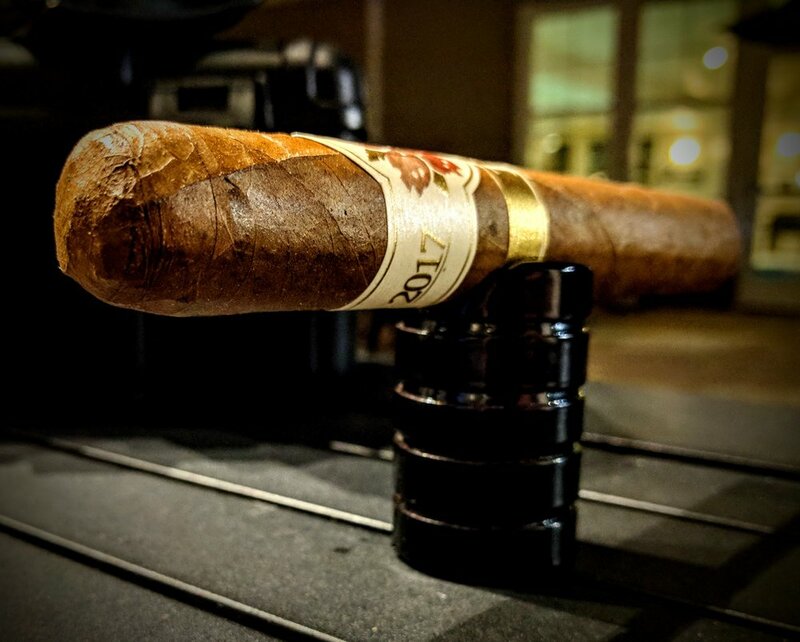 The collaboration seems to have been truly that in that no one person's typical cigar style prevailed. While I enjoyed the overall experience of the Hit & Run, the tameness of the first half left me wishing for a bit more. 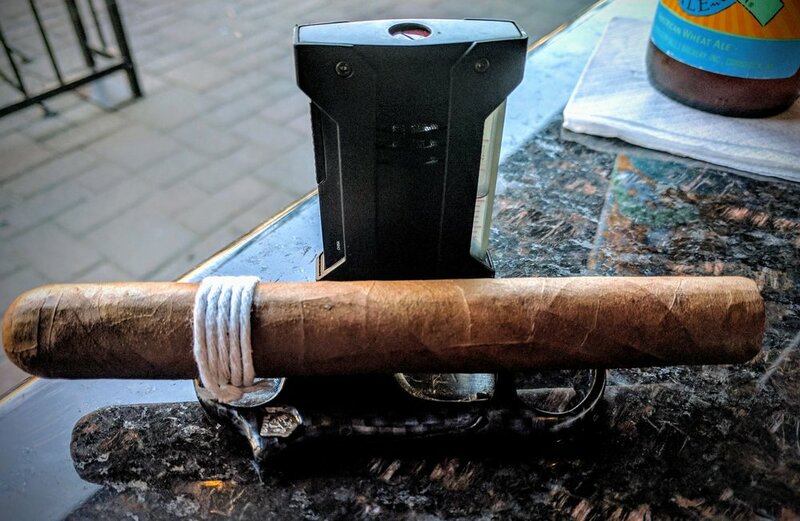 As the complexity unfolded, I began to enjoy the stogie a bit more but, at the end of the day, it was almost like smoking two entirely different cigars (where I enjoyed the second half much more than the first). I wouldn't hesitate to buy another single or two, but likely won't be going for much more. 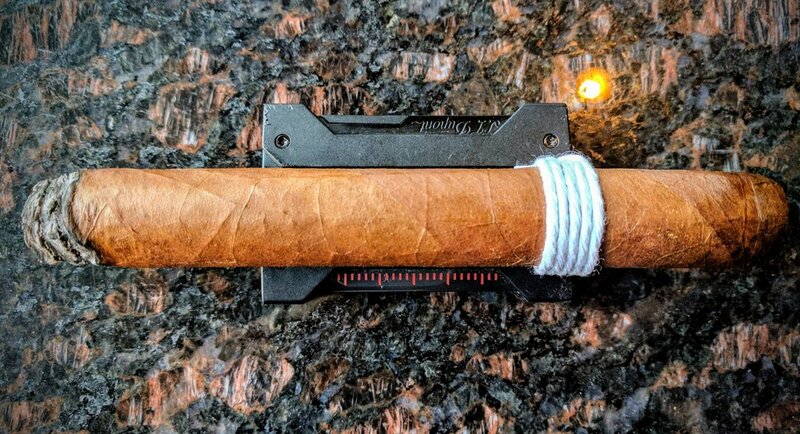 I'll be curious to smoke a few of the smaller ring gauges as I think this blend may really shine in that format.